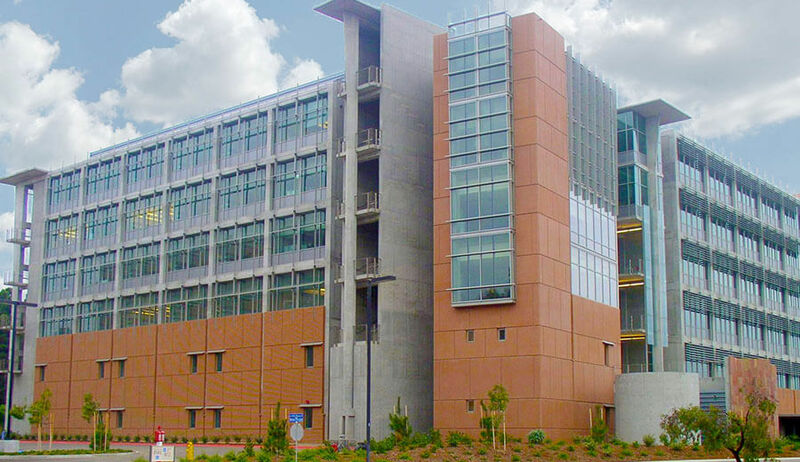 The Natural Sciences Building is a new, highly complex multi-story science laboratory and instruction facility located at the University of California, San Diego campus. 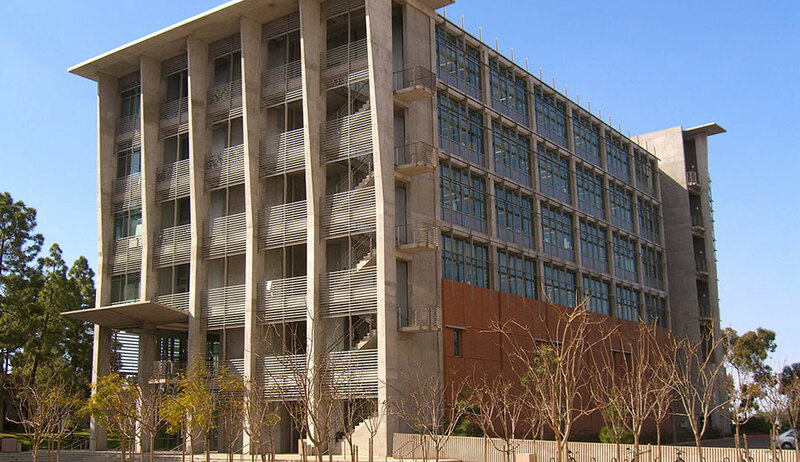 The building features multiple laboratories, vivariums and offices, including dean suites, support offices, and a large conference room. The new 180,000 sq. 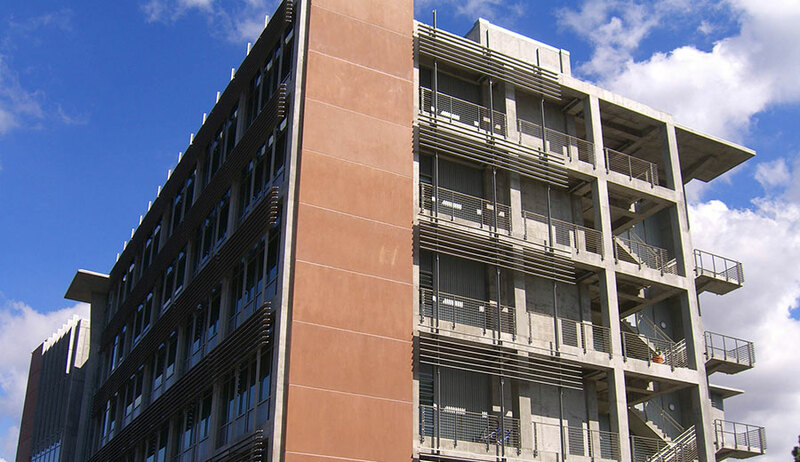 ft. cast-in-place concrete structure boasts a contemporary exterior design with a mix of exposed concrete columns, pre-cast concrete panels, colored glazed curtain walls, aluminum awnings and stainless steel ornamentation. The structure includes a full basement with a vivarium and six, above grade stories supported by large-grade beam foundation. Laboratory spaces are included on each of the main six stories, and the basement houses large MRI equipment. Unique to this facility, the basement walls and foundation incorporate special stainless steel reinforcing bars with a high nickel content. 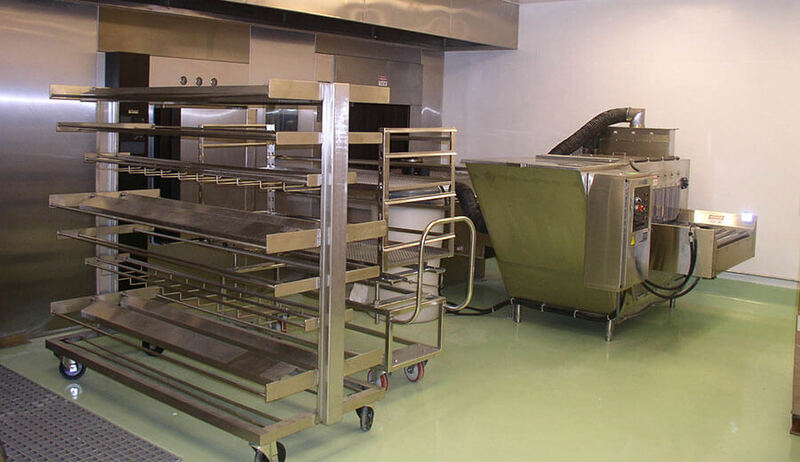 The stainless steel diminishes the effects of magnetic attraction associated with standard ferrous reinforcing steel while the MRI equipment is in operation. 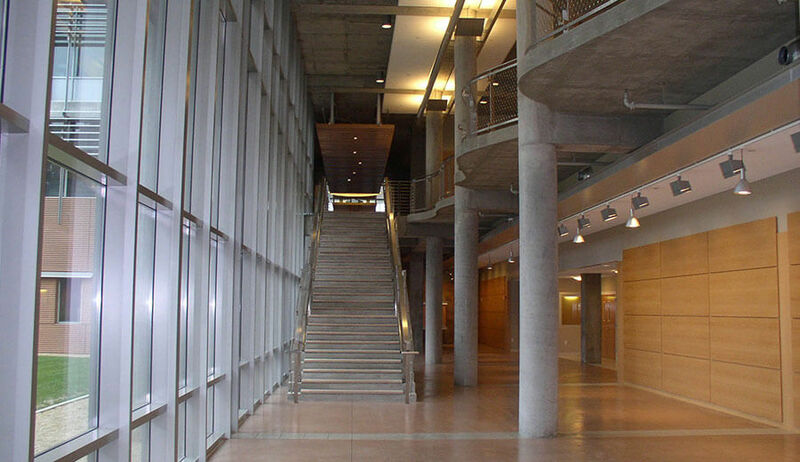 The building includes a number of standout architectural features, including ornate interior woodwork, and glass guardrails at the second floor lobby meandering along a “ragged edged” balcony. Special flooring finishes were also provided, including highly polished colored and stained concrete in the lobby, exterior green colored Lithocrete with green glass cullets, and colored exterior walkways in a tatami-mat finish. Accentuating the variety of building finish types and colors are fields of clefted granite and slate on the walls and walks. Site features include a custom designed patio and low water consuming landscaping. Temperature and environmental controls were provided to monitor the vivarium freezers, and a palm-reader security system is included for security control in sensitive areas.